Hey there. Thanksgiving is over. I'm sure that we're all still scarfing down left over turkey. lol But now, it's time to work that off and get back into shape. The wife and I are back at the gym and decided to push ourselves to better our health now more than ever. 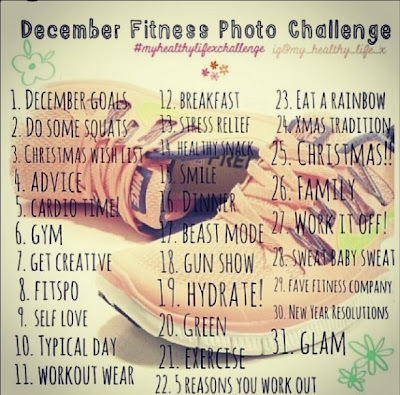 To keep us on track, we're going to take part in this December Fitness Photo Challenge. We haven't taken part in any of these photo challenges since July so it's going to be fun to take part in a little photo challenge. We're supposed to have started on the first so I'm already a little behind. I'll go ahead and post a few pictures to catch up but since today is the 4th, we'll start off with the photo for day 4. Do you have any fitness goals for this month? 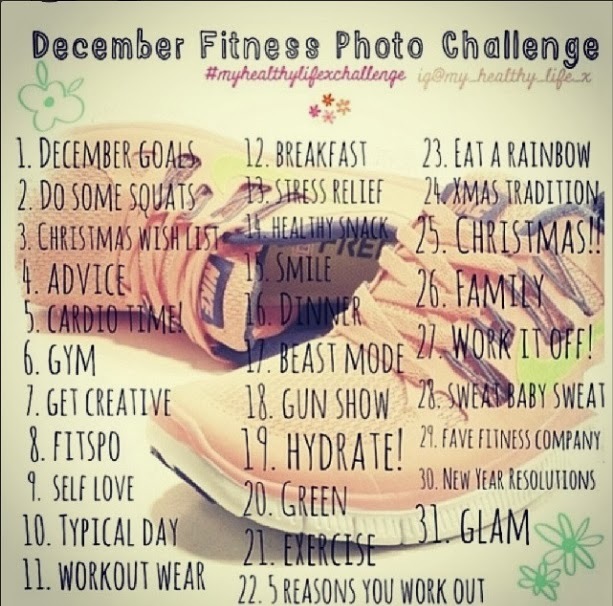 Follow my personal instagram and check out the photos I'll be posting for this challenge! Later!